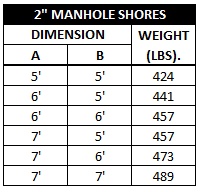 GME MANHOLE SHORES are designed to shore square or rectangular excavations. They provide 4-way hydraulic support against the trench walls to create an obstruction-free pit which permits adequate working room for the installation of manholes or vaults, or the operation of boring equipment. 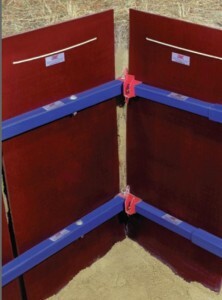 They can be used with several different types of sheeting, as described in the manufacturer's tabulated data. 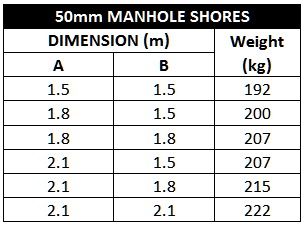 Each of the four sides of a manhole shore can be independently pressurized, and also can pivot laterally, to provide proper shoring to the excavation, even if it is somewhat irregular in shape. GME Manhole Shores are easily transported as four individual cylinder and tube sections, and quickly assemble at the job site. 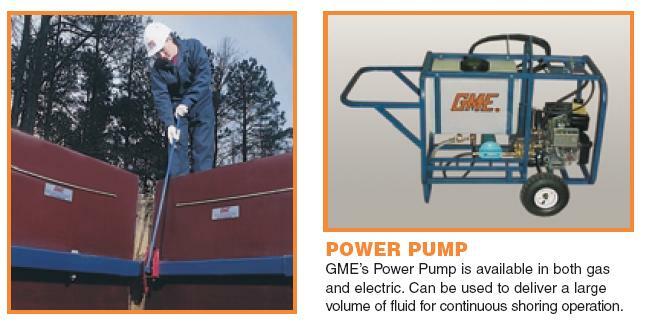 Can be pressurized to fit square or rectangular pits.